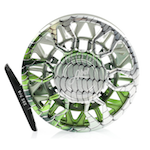 2018 8-Weight Fly Reel Shootout and Review: What's the best saltwater fly reel? 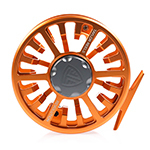 Trident Fly Fishing is a full service fly shop. We spend a lot of time testing gear and writing shootouts to give you all of the tools to make your next trip a success. We are not a blog, or a review site, and there are no ads. 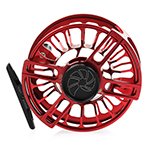 100% of our funding comes from your gear purchases, so if this shootout helps you on your next fly fishing adventure, please support us by buying your next fly reel from us. 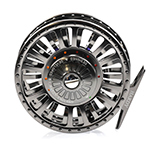 Remember back when we released our first 8-weight reel shootout in 2013? Yeah, we barely remember it ourselves. So, it was high time we redid it. In fact there is no reel that's in production that was in our original shootout. This year we've upped our game big time. We tested 37 reels across 13 categories - including 3 all new categories! We even had 5 new brands participating in what we believe is the largest and most comprehensive apples-to-apples reel test that's ever been done. It involved 100s of hours of work to not only test everything, but review each and every reel. We hope you enjoy it. As with all of our reviews, we'll try to remain as objective as possible, and we’ll give you all of the raw data to draw your own conclusions, if you wish. 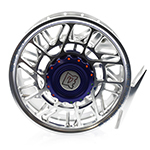 But, we’re also going to tell you which reels we like best. We take comments from our readers very seriously (you should leave some at the bottom). One of the most common remarks about each of shootouts is, "I can't believe they didn't test <my favorite reel>." 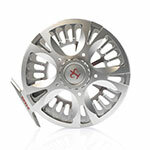 So, as we do for each and every one of our shootouts, we asked virtually EVERY reel manufacturer to send us a reel. 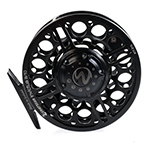 Our goal is to test as many reels as we can, so, if your favorite reel wasn't included and you'd like to see it tested next time, CLICK HERE, to send an e-mail to your favorite manufacturer. 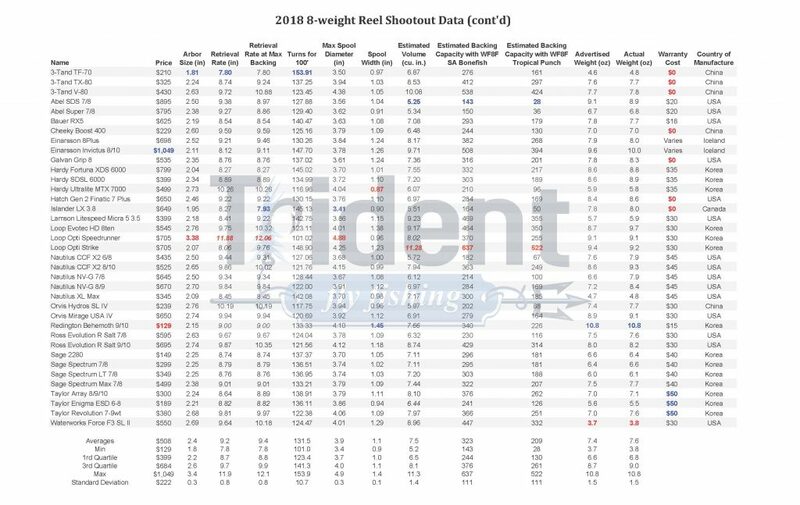 Our testing has evolved a lot since the first time we did our 8-weight challenge. 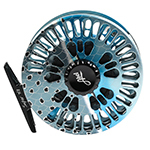 But, one thing hasn't changed; we started by asking ourselves one question: What makes a great saltwater reel? As we've grown in our testing, this question has gotten a lot more complicated. Fundamentally, we're still looking for the same things: a great drag, fast line pickup, light weight, and good ergonomics. I feel like I'm surprised each and every time by the winner of our shootout. 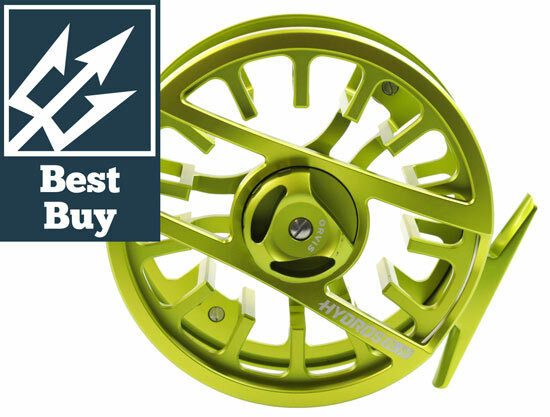 This year we tested 37 reels and one came out on top. The competition was incredibly tight this year and we really put forth a lot of thought in order to declare a champion. Ultimately, the Nautilus CCF-X2 8/10 edged out the competition. Of course it's got a great drag with tons of power and adjustability, but it's also got a super fast retrieve and the best ergonomics. It wasn't a blowout victory by any means, but the CCF just did a little bit better across multiple categories and came out victorious. While I was surprised by our winner, I was definitely not surprised by our best buy. The Orvis Hydros SL has a massive drag with tons of adjustability (actually the best in the test), fast line pickup, and, of course, a really great price. You can buy 2 for the price of one CCF (almost)! 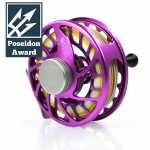 We felt that it would be unfair to the makers of some really great reels to be left out, so we've come up with a matrix of reels that are excellent and may fit your needs better than the CCF or Hydros if your preferences are a little different than ours. 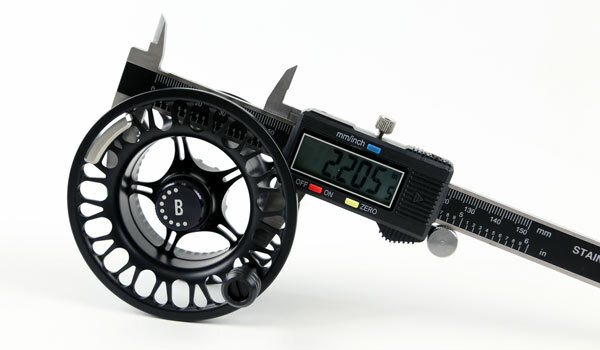 Just like all of our reel tests, all spool measurements were taken using a digital caliper and weights were captured using a digital scale. Testing drags on the other hand is tough and your boga grips just aren't going to cut it. But it's also what makes this test worth reading. 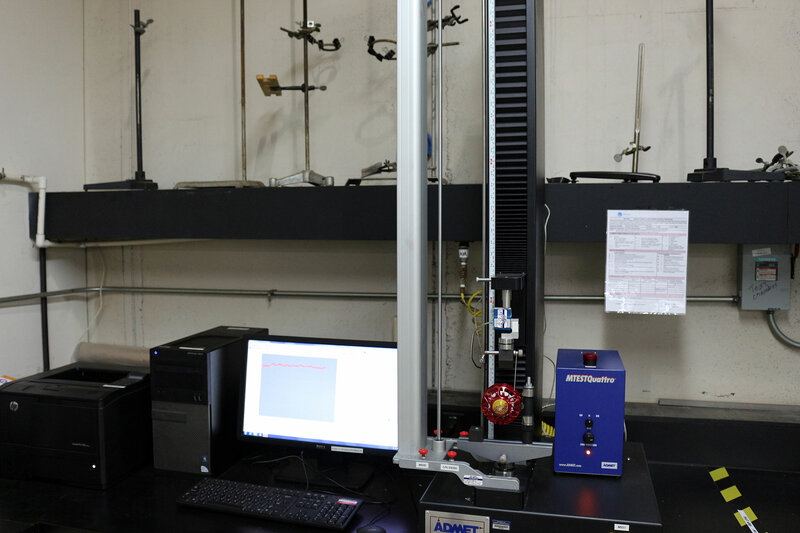 For this year's test (and all going forward), we purchased our own universal testing machine (thanks Admet!). It's the only way to really understand what's happening at a scientific level. Each reel was then filled with 50 yards of backing and then mounted to our universal testing machine. The backing was then attached to the load cell. We then set the machine in motion and measured the force nearly 1000 times per second. All reels were tested with backing only. 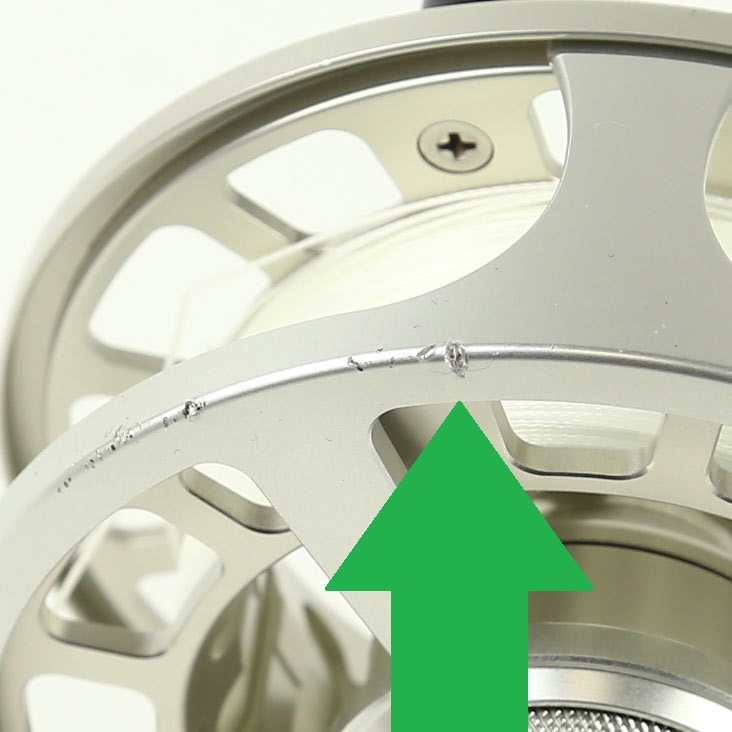 We found that when fly line was on the reel, it shifted around too much to get consistent results. Rigging Matters. Max drag is our hallmark test category. It's been with us since the beginning and is what differentiates us from other shootouts. 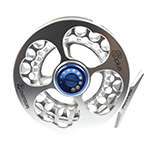 It also differentiates reels in terms of technical performance. No one would drive a Ferrari if it topped out at 75 MPH. 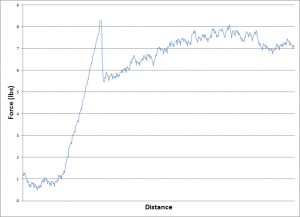 We view drag strength as the 'top-speed' in our test. 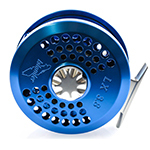 That said, we wanted reels that had AT LEAST 8 lbs of drag, and we penalized reels that didn't meet this benchmark. We measured drag strength by tightening the reel to the tightest we could reasonably get it with our fingers, then attaching the reel to our UTM and averaging the force after the reel hit its peak (about 2 inches). The top reels had over 20lbs of drag, but it was the Abel SDS that was the Ferrari of this test topping out at over 25lbs of drag!! 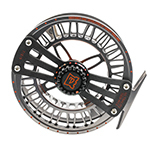 While Max Drag is the mark of technical performance, Usable Drag Strength is the actual amount of usable drag that the reel has. It's the amount you could comfortably dial in while fighting a fish. 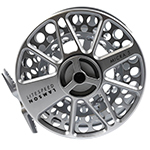 We measured this by marking the max point (from above), and then dialing it back 1/4 turn EXCEPT when the reels had drags that were easy to turn all the way to the max drag point. A great example of this is the Hatch - it requires very little torque to set it all the way to max drag, and therefore 100% of its drag is usable. Sure, it's important to have a lot of drag, but it's equally (if not more) important to have a drag that's adjustable. Why have 2 turns of drag when the reel is going to free spool after one turn? 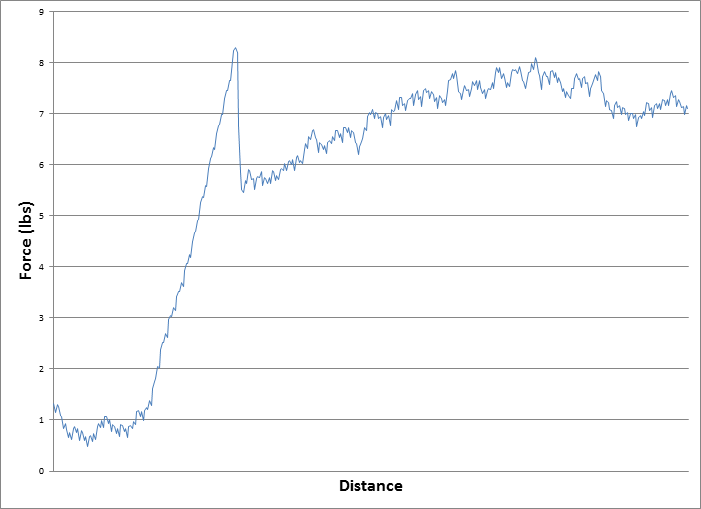 For this category, we started with our Max Drag point, then dialed it back exactly half of the range of the drag. In an ideal world, we'd like to see exactly 50% of the drag at this point, but what we found was that drag force ranged from 2-62% of Max Drag. We awarded points based on how close reels got to 50%. 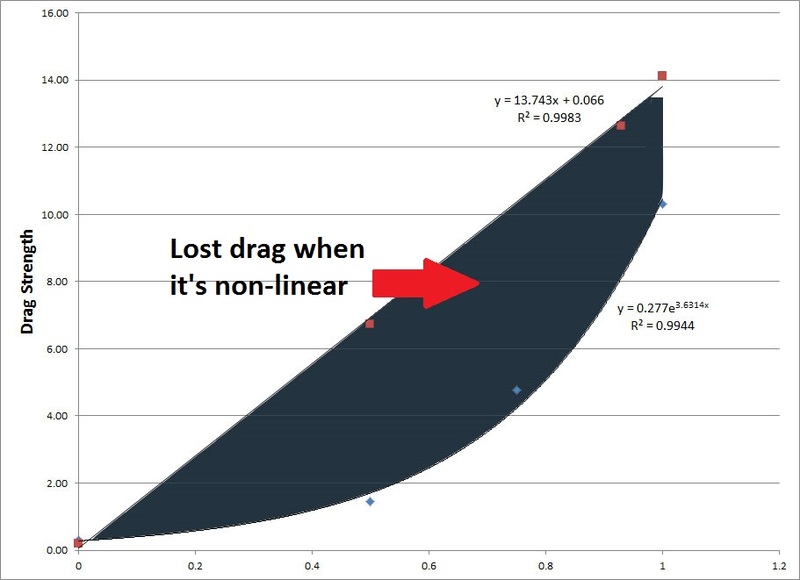 Here's a graph that further illustrates why a linear drag is better than a non-linear one. What prevents a reel from free-spooling? Having enough drag to slow it down (or some other mechanism - more on that in the individual reviews). We were looking for about .4lbs of drag and surprisingly, no reels actually hit this. 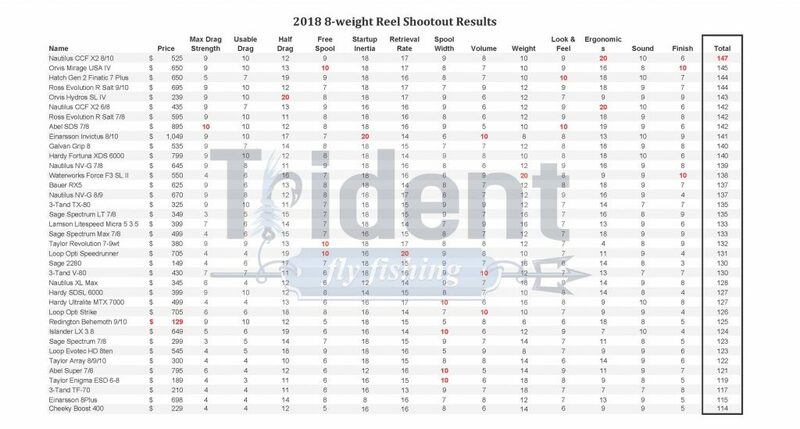 The best reels got pretty close on either top end or the bottom end. 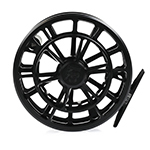 You'll notice that this reel requires over 2 lbs of start-up force. 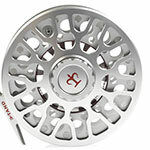 If we're using 8 lb test tippet, we now need to set our drag to a maximum of 5-6 lbs so that it doesn't break the tippet. Effectively, we're losing 25% of our drag strength. Because all forces are exacerbated at higher speeds, imagine how much drag is lost with a fish traveling at 15-20 miles per hour. When we started these tests, we found that startup inertia was a big differentiator. 5 years later, that's no longer the case. Most of the reels earned full points here. There was one reel that totally destroyed the competition though, and we awarded them 2 extra points (read the review to see why). 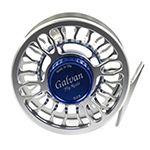 In terms of pure performance, retrieval rate is one of the most important and noticeable features of a fly reel. When a fish turns and starts swimming toward you, you need to reel as fast as you can to keep the fish on. It also means fewer turns to bring in that trophy or just reel up as you change spots. Therefore, bigger IS better, as they say. For those of you who don’t know, the arbor refers to the mid-section of the spool. Think of the hole in the donut. Following the analogy, the larger the diameter of the hole, the larger the arbor. 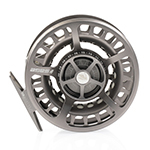 Almost all of the fly reels we tested claim to be “large arbor”, but we discovered that there was quite a variation between reels. The 3-Tand TF-70 was the smallest at 1.8 inches. 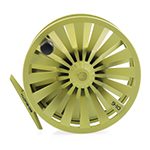 You could almost fit this entire reel through the arbor of the absolutely enormous Loop Opti Speedrunner. 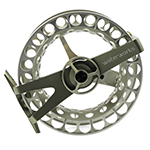 For many years, the trend in fly reel manufacturing was to make the arbors larger and the spools wider. Why? It helps keep the weight down and gives you a fast retrieval rate. This comes at a price, however, which is you having to act as a level wind every time you reel in your line so that the line doesn't pile up. This was disputed in another review, so if you'd like more information on narrow vs wide, check out this article. 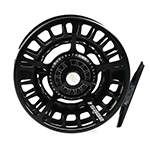 This calculation isn’t exact because some of the spool designs featured arbors that weren’t flat, but it does give us a basic idea of reel capacity. 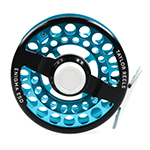 While all the reels we tested were “8-weights”, there is clearly no standard here. 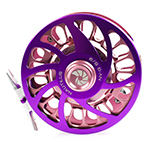 The largest reels could hold over 600 yards of backing! It's also worth noting that some of the volumes are italicized. 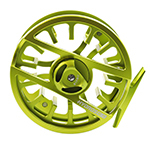 These reels have triangular spools and we had to come up with a whole new formula to calculate this. Since you're here to read about fishing not integral calculus, I won't bore you with this, but please know we did our best to give you a reasonable estimate (read: please don't send me an e-mail about it). 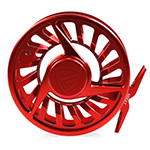 As fly fisherman, we’ve become obsessed with weight. Rods are pushing the limits, some weighing in at less than two ounces. Reels are getting lighter too. 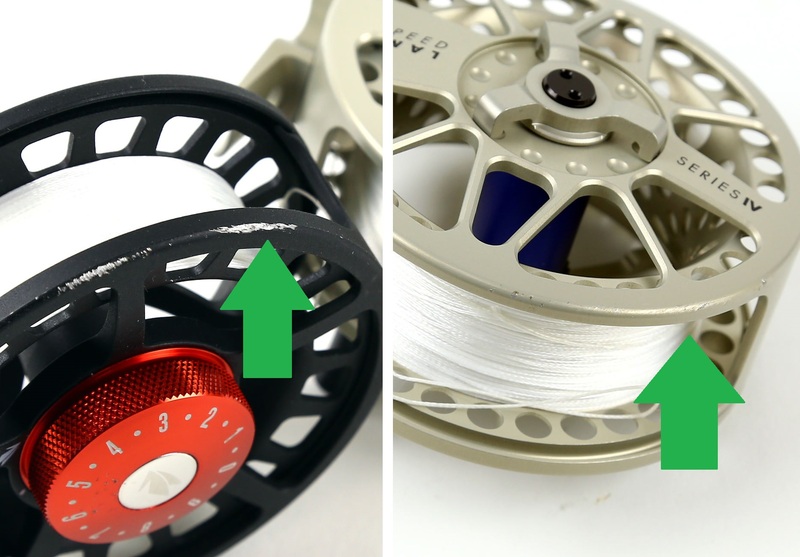 Why are lighter reels better? As rods get lighter, you need lighter reels to balance them. Moreover, when you’re casting all day a lighter outfit is easier on your arms. If you make 100 casts in a day, every ounce works out to over 6 extra pounds you need to move. We introduced ergonomics in our 5-weight shootout. Which is to say, how well is the reel designed from a human interaction standpoint. 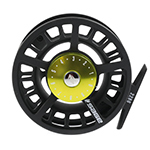 You interact with the reel at 3 key points: the handle, which you are in contact with most, the drag knob, which is used less frequently, but often requires quick and easy access, and the spool change, which is obvious. As all of the reels had quick change spools, we didn't bother evaluating it this time around. Handle: The best handles were fairly long - they move your knuckles further away from the spool so you're never touching it. They are also wide enough to be comfortable. Our favorite handle came from Nautilus. The CCF and the NV-G share a handle that's fantastic! Drag knob: When a fish is cruising into open water and you've left your drag wide open, nothing is more important that getting that adjusted back to a fishable level. Nautilus also won this one with the CCF sporting a knob that's not only large and easy to hold on to, but has a great texture to give you added grip. We wanted this test to be as complete as possible. To do that, we needed to test the durability. So, we dropped each reel 3 times from a height of 3 feet (about the same height as the average tailgate) onto pavement. 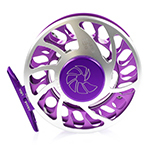 After all, who hasn't dropped a reel? We then dragged each reel along the pavement for a total of 9' to simulate what would happen to a reel if you placed it on a rock to do some rigging. In each review, we'll talk about divots (holes caused by the drop), scratches (mostly caused by dragging) and damage, which can take the shape of a bent frame or anything that would cause the reel to stop functioning normally. 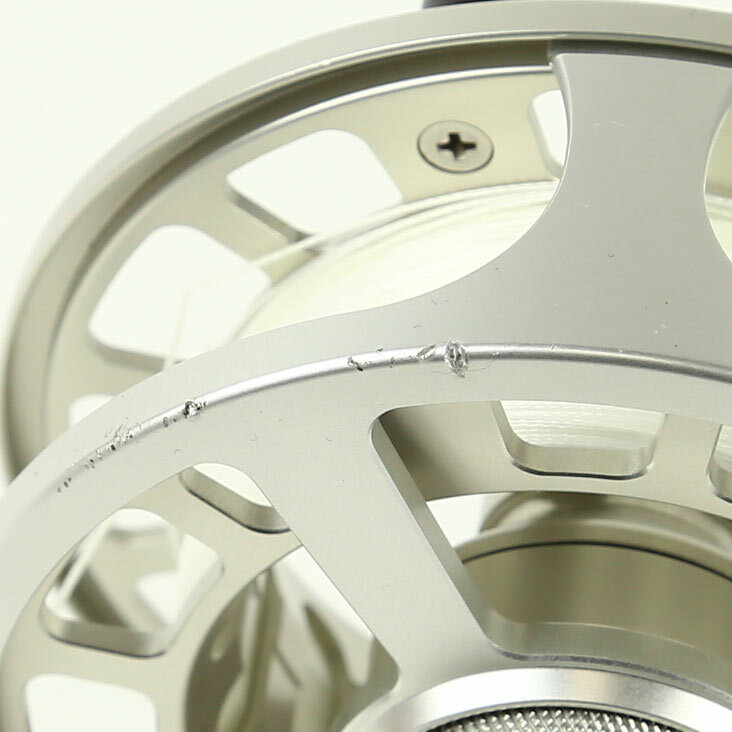 When it comes to finish quality, one reel stood out with nearly unnoticeable damage. When we revisited our testing criteria this year, one of the toughest decisions was about whether or not we should include price, and if so, how many points should it get. This time around we landed on not including price. We found that it was distracting from the test and decided to let you make your own decisions on value. Note: these results got a little out of hand again and they'll probably be easier to view if you download the pdf here. Again, it's probably easier to read the pdf here. We'd love to hear your feedback on this test. Leave us a comment below! Once again, thank you for reading! 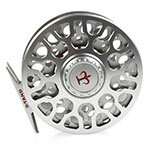 Don't forget to check out the other posts in our great fly fishing blog. what happened to the tibor signature??? guess its in a class of its own??? Would have loved to see the Echo Bravo in this shootout. I'd really like to see the Swedish Danielsson considering the Loop Evotec is included which is essentially a Danielsson knock off. I believe the Danielsson drag would be better than the Loop having had my hands on both. The Danielsson also gives the user the appility to set the drag washers to the users "custom" use. The are also still hand made and half the price of the knock off. Yep, great article and write-up....lots of info. That said, .would like to have seen some Tibors reviewed; Signature Series and Everglades! Why no Lamson Cobalt? Before opening the link if it was the reel I was most interested in seeing in the test, and was disappointed it wasn’t listed. Also would have liked to have seen Tibor’s on here. What a tool! 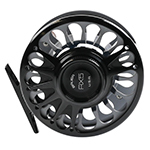 I'm headed to the Amazon for Peacock Bass in a couple of weeks, needed a new real and searched for a review website and found you. Saved me lots of research. 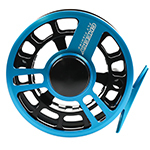 Found out I did not need to spend 700.00 for a quality reel. Thanks so much, would have bought from you except my local fly shop here in Wyoming had one on the shelf. Will be a customer in the near future. Just found this Shootout. Read through all of the categories. 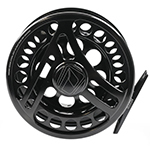 As a 8 weight reel is fairly likely going to be used in a salt water environment why wouldn't "Sealed" drag not be a category ? Many reels claim it and the internet is loaded with pix of reels laid down in the creeks while a fisherman/woman is unhooking their quarry. Not always a great idea with salt water. 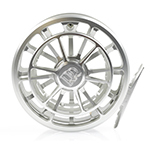 Also in the salt many reels will get dunked and heavily splashed due to the nature of the environment. I cannot thank you guys enough for the wonderful information provided in your test results! 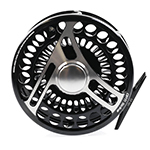 As a novice brand new fly fisherman, this shootout gives factual data that you could only hope to gain by fishing each reel yourself and even then the differences might be difficult to discern. 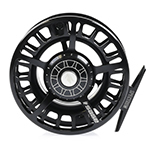 This test cuts through every manufacturer's claim and various retail claims of which reel is really the best in performance across a variety of important categories. This has and will help me tremendously in purchasing great performing gear based on solid testing performance versus personal preference claims of what that shop actually carries in inventory. 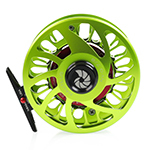 One of the key takeaways for me was that you can get great overall performance in a reel that is not just based upon price alone as seen by companies like Abel - the standout from the shootout to me was the Orvis Hydros SL. 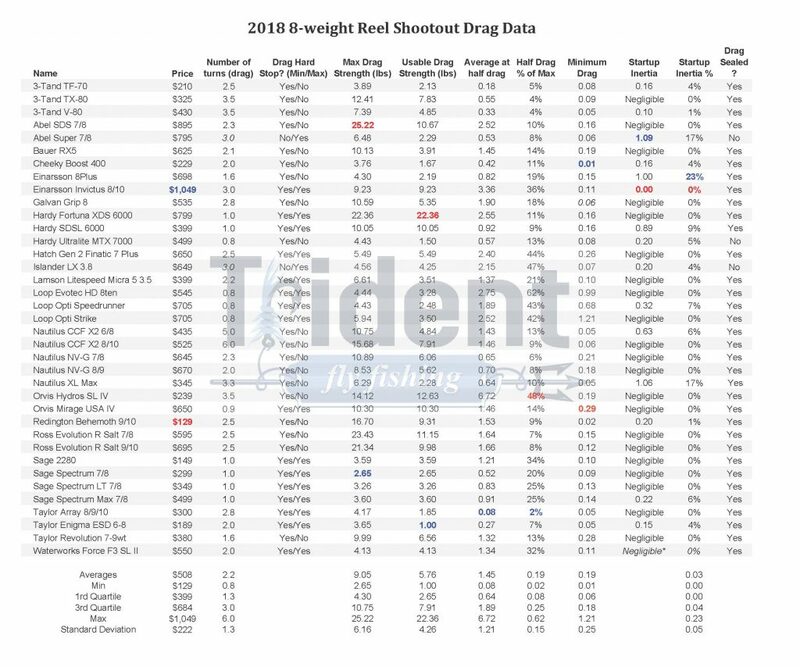 While I strongly believe in buying the best equipment available no matter what the cost, this data takes away the myth that a higher costing reel will perform better. 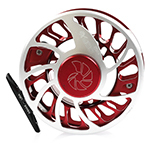 I will be purchasing an Orvis Hydros SL due to great performance at a low cost and while the overall craftsmanship might not be as good as some of the other reels, you could keep replacing the reel 2 to 4 times before you would equal the original price point of some that were tested. That is the true value of the shootout in my opinion! Thanks guys for the outstanding data!! Hola, y galvan torque t8? Are you aware of the Tibor everglades? Evidently not.. So the initial ie. 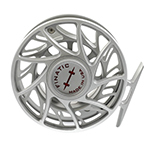 static resistance is under 2 lb and once the line has been pulled and the reel has been accelerated the drag force goes UP. I always thought the problem was the invers situation where startup drag was too tight for a running drag that was right. Thank you for the technical insights. 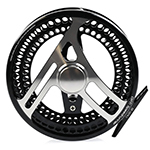 One has to weigh the benefits of spending 30-40% more on a reel w very similar performance outcomes. 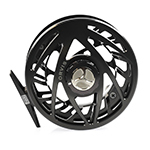 I’ll be acquiring a Orvis Hydros IV given well above average performance (also substantiated by another recent reel shoot out), a great Warranty Prgm all at an affordable cost. And no I’m not employed by Orvis.